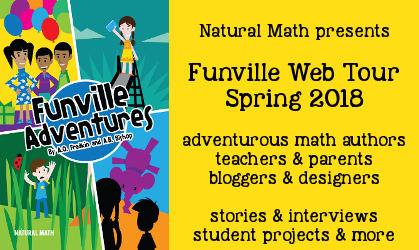 Home › Funville Adventures: Math Personified! Funville is a math-inspired fantasy adventure by Sasha Fradkin and Allison Bishop, where functions come to life as magical beings. 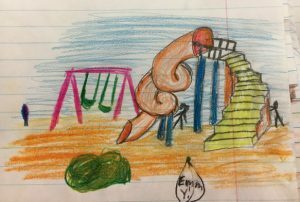 After 9-year old Emmy and her 5-year old brother Leo go down an abandoned dilapidated slide, they are magically transported into Funville: a land inhabited by ordinary looking beings, each with a unique power to transform objects. Beautiful paperback for your learning library – $24. SALE! $19 It comes with ePub, Kindle, and PDF files of the book. 610 backers crowdfunded Funville to bring it to life. Thank you! Check out this book trailer from the campaign. Want to create your own Funvillians and tell stories about their adventures? Send us your creations and we will feature them on the upcoming page. Reddit Ask Me Anything with Sasha Fradkin. With a PhD in math from Princeton I chose to teach at an elementary school and write a math-inspired children’s book. AMA! Reddit Ask Me Anything with Allison Bishop. Growing up, I dreamed of being a writer and hated math. Now I am a computer science professor at Columbia and a children’s book author. I work to blend great storytelling with great science. AMA! Columbia University Computer Science. Author Interview: Allison Bishop on the learning opportunities of math-based fantasy. Cory Doctorow on BoingBoing. Kickstarting a CC-licensed picture book that teaches mathematical functions to small kids. As Emmy and Leo explore this exciting new world, befriending many Funvillians along the way, they discover that despite being able to do some very impressive tricks with their powers, Funvillians often get stumped by situations requiring more than just the straightforward use of a single power. Emmy and Leo think outside the box to solve problems by using combining multiple powers, as well as using ideas that do not involve powers. 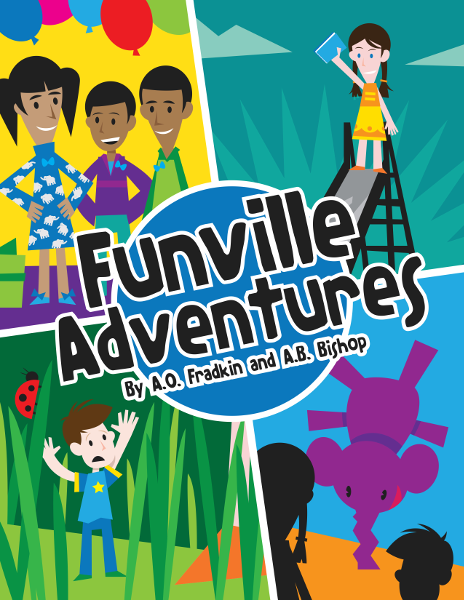 While on the surface, Funville Adventures is just a fairy tale, the powers of the Funvillians are a vehicle for introducing children to the concept of a function. Each power corresponds to a transformation such as doubling in size, rotating, copying, or changing color. There is even a Funvillian whose power is to change other Funvillians’ powers. Some Funvillians have siblings with opposite powers that can reverse the effects and return an object to its original state, but other powers cannot be reversed. In this way, we introduce kids to the mathematical concepts of invertible and non-invertible functions, domains, ranges, and functionals without mathematical terminology. The concept of a function is truly fundamental, and accessible to children from a young age. It is unfortunate that for many of them, their first encounter with it is in high school or late middle school, often in a dry, technical manner. We present this material in a form that will appeal not only to kids already interested in math, but also to who are missing out on mathematical adventures. Dr. Sasha Fradkin has loved math from an early age, and seeks to share that love of math with others. 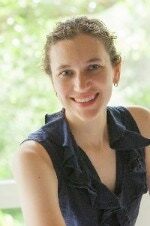 After receiving her PhD in mathematics from Princeton University, she worked for several years as a professional mathematician and taught enrichment math at the Golden Key Russian School to children ages 4-10. 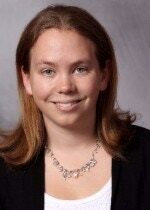 Last year, Sasha became the Head of Math at the Main Line Classical Academy, an elementary school in Bryn Mawr, PA. She develops their math curriculum and teaches children in grades K-5. She writes a blog about her teaching as well as various math adventures with her two daughters, and enjoys pondering about exciting and engaging ways to present the beauty of mathematics to young children. Dr. Allison Bishop grew up with a passion for writing, and initially disliked math because it was presented as formulaic. She belatedly discovered the creative side of mathematics and science, and now sees it as a vital component of the curiosity that drives her life. She is currently a professor of computer science at Columbia University as well as a quantitative researcher at the Investors Exchange. She remains an avid fiction enthusiast and writer, and is always seeking new ways to expose young minds to creative mathematical thinking and fuel their scientific curiosity. Thank you, team! Art and cover by Mark Gonyea ~ editing by Karla Lant, Maria Droujkova, Dmitri Droujkov, and beta readers ~ page design by Howie Severson.